Miss VIP Nigeria pageant was held at Teriel event centre Otiotio junction yenagoa on sunday 25 as 23 years old miss charity Wilfred emerge as the winner. Below was the statement released on their official Facebook page by Mr Pereye Okorowanta. ” I wish to use this medium to thank all those who made the 2015 edition of Miss VIP a success,Special thanks to. Barr George Turnah MON,Hon Diepreye Abaye Leghemo UDEME Hotel Prevy Teriel. Miss charity Wilfred – Winner. As Miss VIP Nigeria. Miss Precious udo.1st runner as Miss VIP tourism. 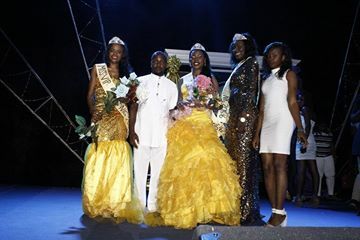 Miss Grace Henry as Miss VIP south east Miss Nola Ojomah as Miss VIP charity Ambassador”..
Congrats to the new Queens. Have you read it? : Wow! !Miss fashion nigeria world 2014/2015 queen ifunanya igbobi Unveils her designs(Photos). 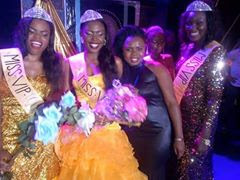 S*x tape Saga continues..Pageant organisers threatens ex Miss Anambra. Newly crowned MBGN Ewowas shares new gorgeous photos.